The Pacific does not always seem quite pacific as its waters are roiled by forces inimical to peace. While China and ASEAN are trying to make the South China Sea a region of peace, friendship and cooperation, US media from across the ocean does not want to see this happen as it muddies the waters through speculation and by misleading the world. It does not mind launching open and covert attacks in order to disrupt the calm. On March 11, CNN reported that Singapore bought F-35 fighter jets to target China. However, Singaporean Ministry of Defence soon declared that the purchase was aimed at only strengthening national defense and not targeting any country. In a statement, the ministry said it does not align itself with any particular country, nor is it a treaty ally of the US. The US strategy for Asia - either the Asia-Pacific rebalancing plan proposed by former president Barack Obama or the Indo-Pacific strategy hawked by incumbent President Donald Trump - has the purpose of containing the rise of China. But the situation in the South China Sea will not go by the "road map" drawn by outside forces, and the US plot of rallying ASEAN against China will fall flat. First of all, it is because the US is unable to do what it hopes to do. As soon as Trump took office, he rushed to withdraw from the Trans-Pacific Partnership (TPP) agreement. This disappointed US allies and partners in the Asia-Pacific region. Last year, Trump was absent from both the ASEAN and the APEC meetings, which created doubts about the US giving up on its traditional sphere of influence in the Asia-Pacific region. Quite a number of people believe that the current US administration only pays lip service to the Indo-Pacific strategy. Since Trump focuses more on domestic affairs with slogans like "America First," US interference in overseas affairs suffers. 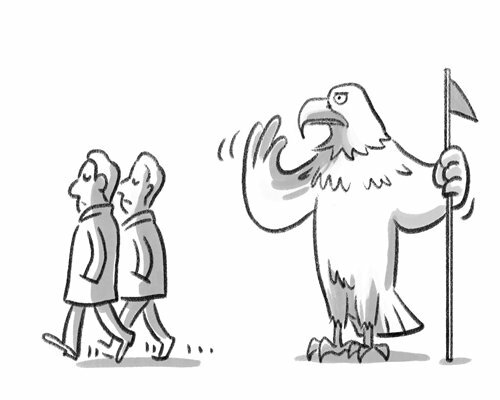 ASEAN members are very clear about it as all eggs cannot be put in the "basket of the US." Of course, this doesn't mean China should let its guard down. Second, relations between China and ASEAN have remained very close. The strategic partnership established in October 2003 has grown dynamic and mutually beneficial. Relations have been underpinned by security, economic cooperation and cultural exchanges, and are marching toward consolidation by 2030. The China-ASEAN Free Trade Area was established in early 2010, and the Protocol to Amend the Framework Agreement on Comprehensive Economic Cooperation between China and ASEAN fully took effect at the end of 2018. China is the largest trading partner of ASEAN. The bloc is China's third largest trading partner, the third largest export market and the second largest source of imports. The total two-way investment has crossed $200 billion. Last, China understands and respects the three major issues that ASEAN members have paid close attention to, including supporting the organization's unity and centrality, promoting trade and investment links, and maintaining world order based on international law and rules. China has given a positive response to all of these. In terms of security and order, China has indicated that it will conclude the consultation process on the Code of Conduct in the South China Sea within three years. On free trade, Beijing is vigorously pushing ahead with negotiations on the Regional Comprehensive Economic Partnership which it strives to finish by the end of this year. As far as connectivity is concerned, the China-proposed Belt and Road Initiative will attach more importance to the sustainability of projects and how local people benefit from those as well as the steady and long-term growth of the areas concerned. As a Chinese saying goes, "A just cause enjoys abundant support while an unjust cause finds little support." An open Asia welcomes any peace-loving and friendly country with constructive ideas. But any attempt to disunite and disrupt Asia is doomed to fail. Malaysian Prime Minister Mahathir Mohamad once candidly said, if forced to take a side in rivalry between China and the US in the trade war, his country would prefer the economic largesse of Beijing. China, as a responsible developing country, has been committed to promoting peace, stability and prosperity in Asia, which has been noticed by other regional countries. Another Chinese saying goes, "As distance tests a horse's strength, time reveals a person's heart." China's sincerity and dedication have won more and more recognition from other Asian countries.